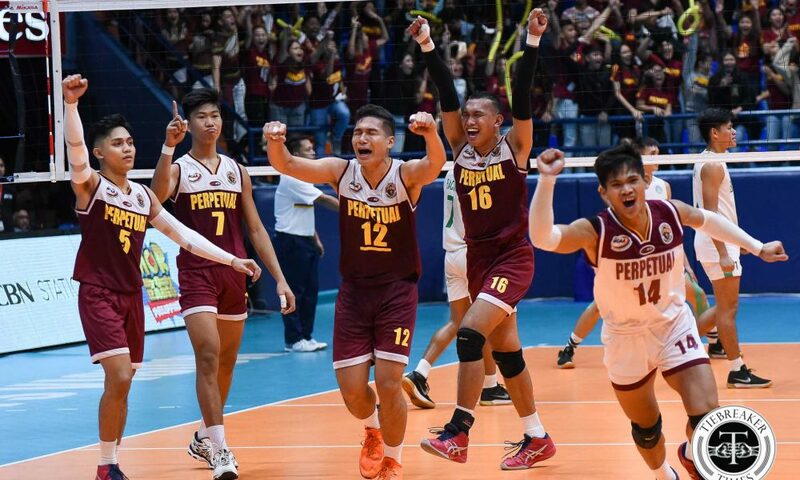 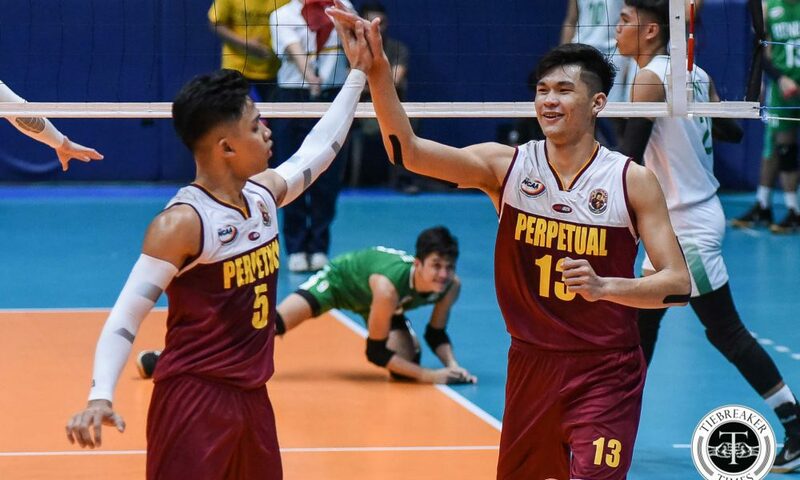 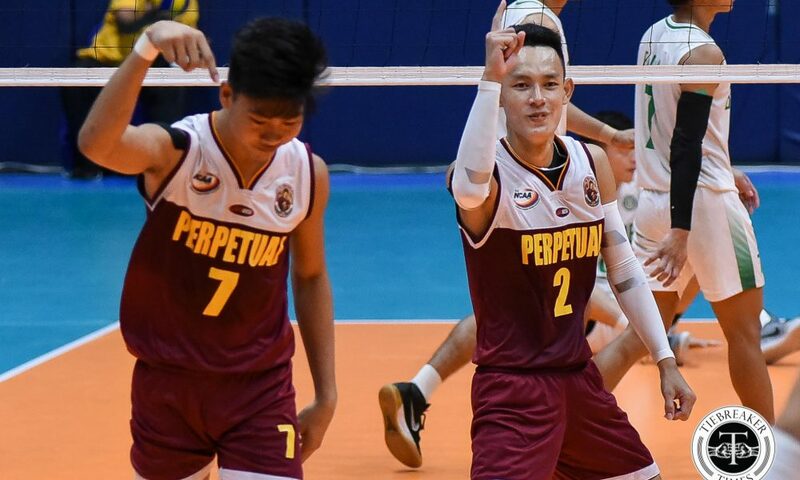 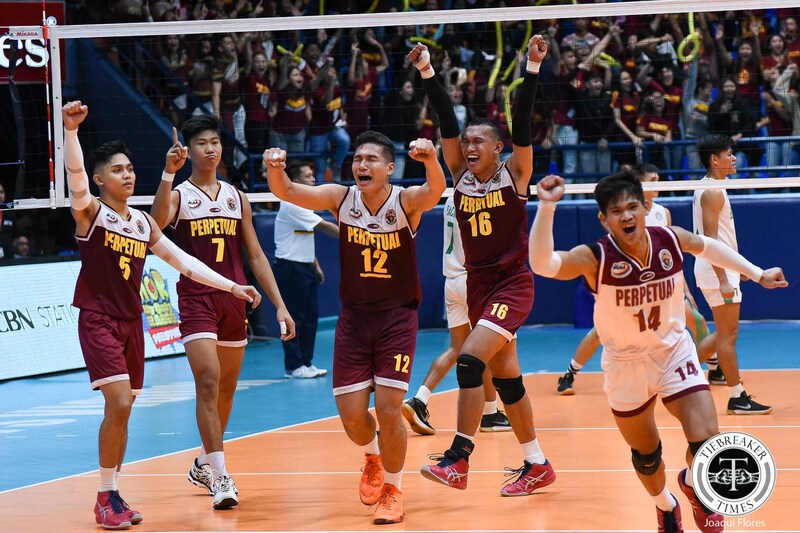 Facing a hungry opponent and another slow start, the University of Perpetual Help System DALTA Altas completed a thorough sweep of the NCAA Season 94 Men’s Volleyball Tournament, throttling the College of Saint Benilde Blazers in Game Two of Finals, 23-25, 25-17, 25-19, 25-23, and claiming their second straight title at the FilOil Flying V Centre. 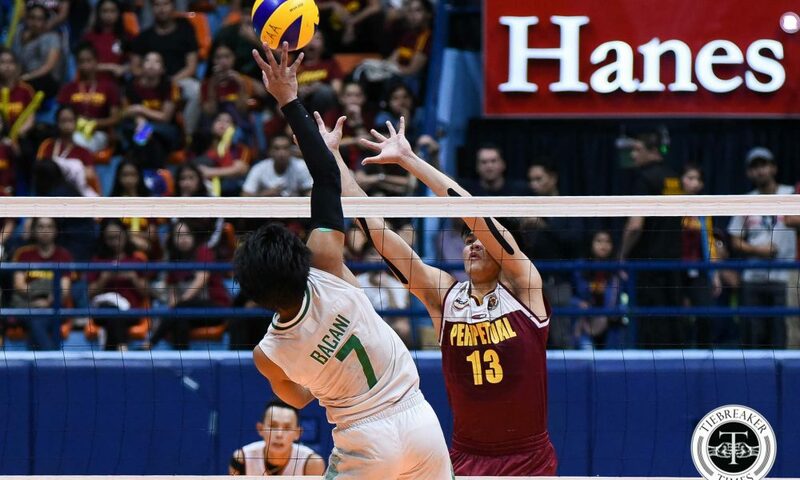 The Blazers crept back from an early deficit in the opening frame to gain the early edge. 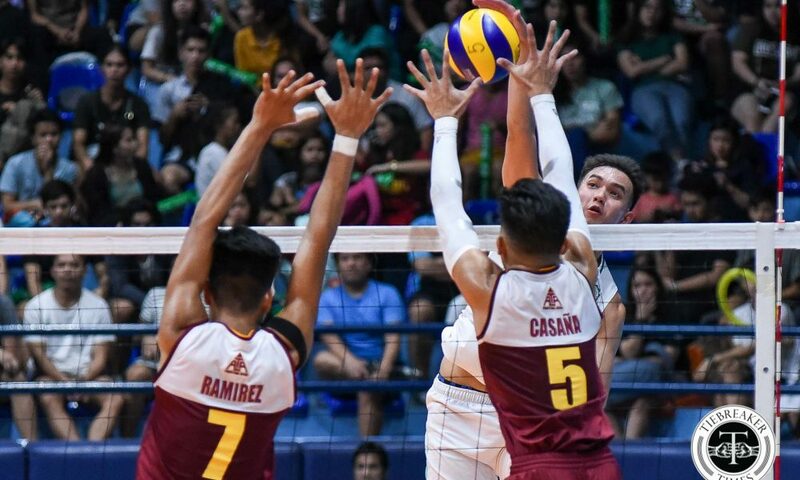 However, the Altas controlled each set from there. 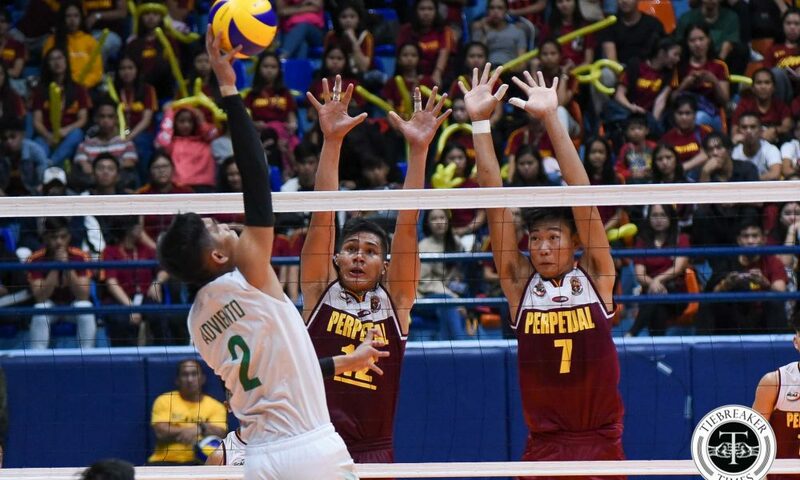 Perpetual used a balanced attack to gain a 12-5 lead in the second frame before dominating the third set, 17-11. 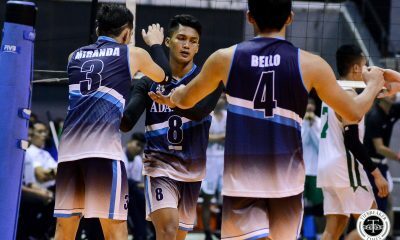 The Altas then almost ran away with the final frame after gaining an 18-7 cushion. 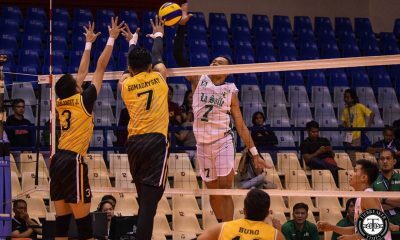 But then clutch defensive plays from the Blazers opened a run that put them within one, 21-22. 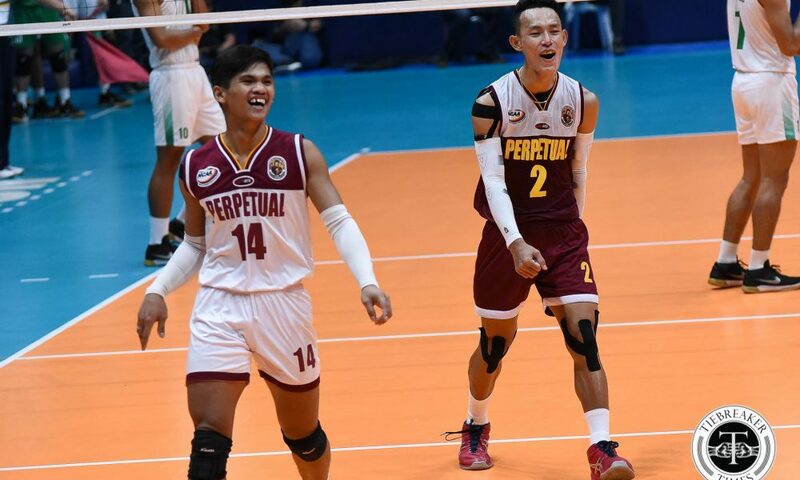 Season MVP Joebert Almodiel traded hits with CSB’s Ronjey Adviento, putting Perpetual at championship point, 24-23. 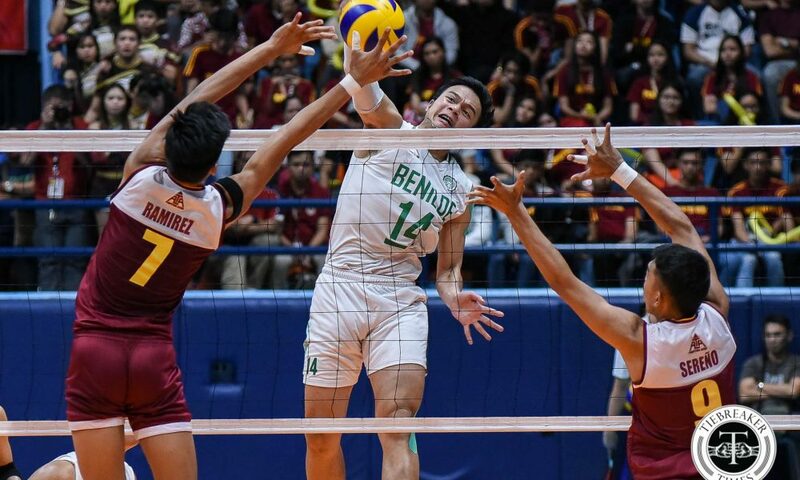 Almodiel then capped the season by finishing a picturesque combination play. 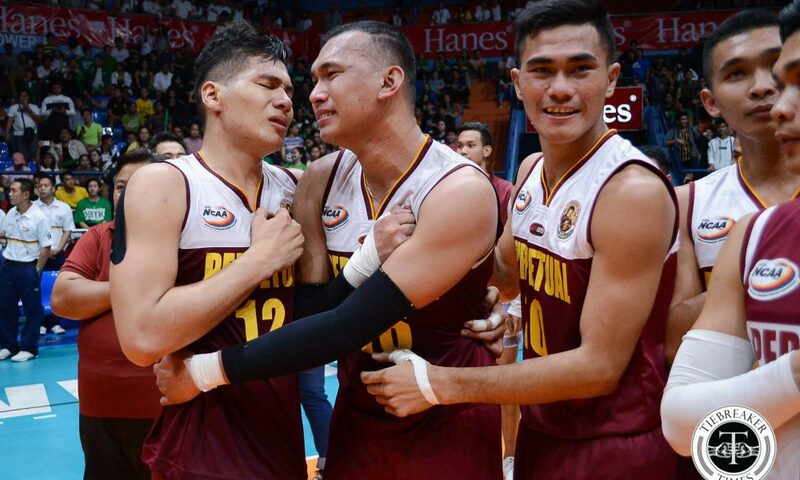 “This is just a blessing for us. 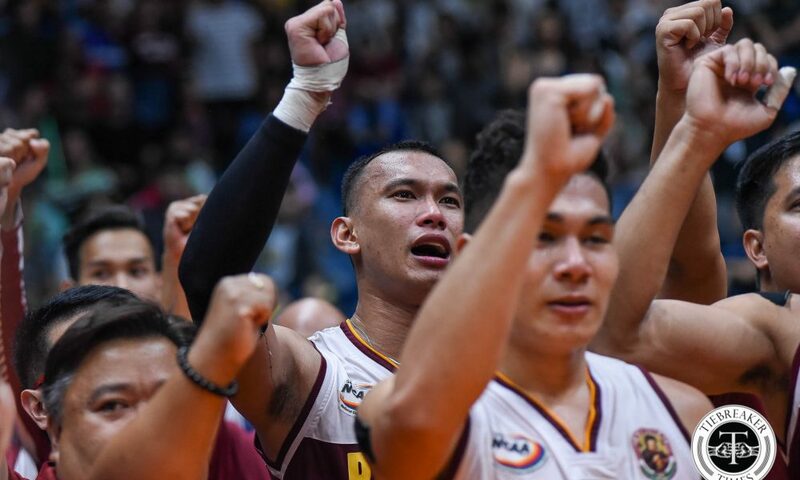 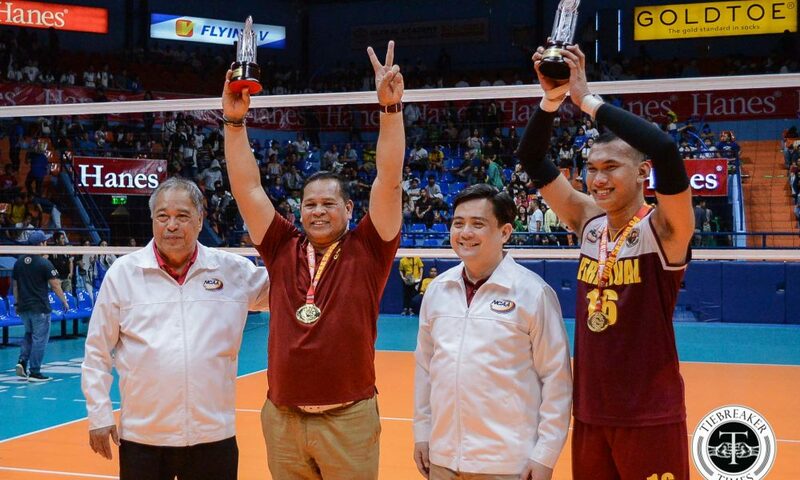 Siyempre, makikita ng mga tao ‘yung sweep, but marami kaming pinaghirapan para makaabot dito,” said Perpetual head coach Sammy Acaylar, who was also named the Coach of the Year. 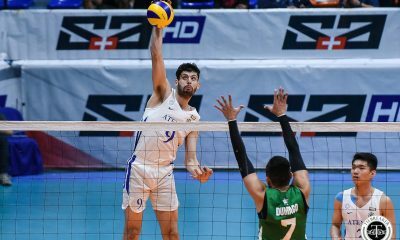 “We just tried to focus and play our best game. 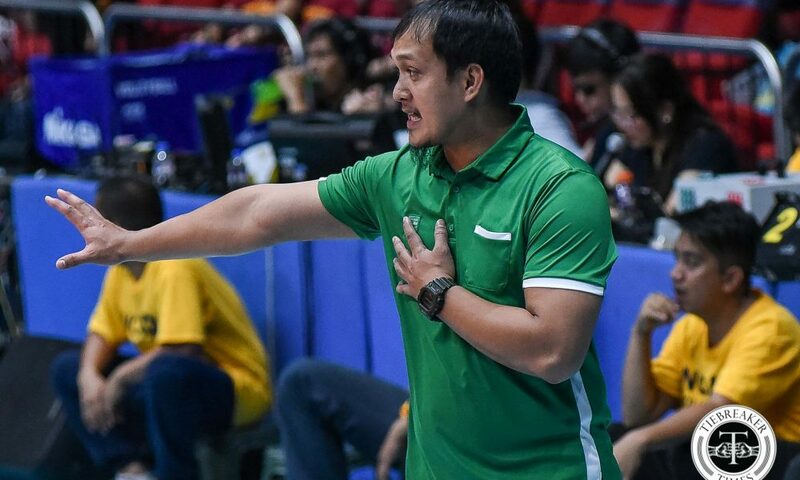 Kahit noong humahabol ‘yung CSB, I urged my players to stay calm inside the court,” the decorated tactician added. 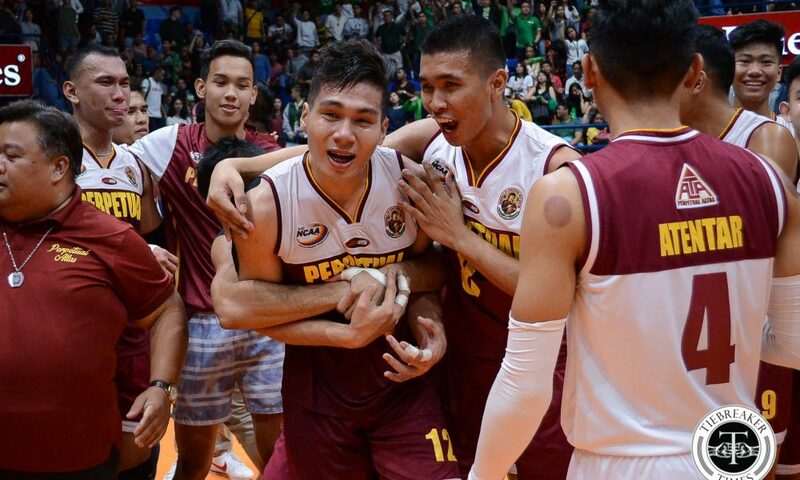 The 21-year old Almodiel also took home his first Finals MVP plum, scoring 19 points in Game Two. 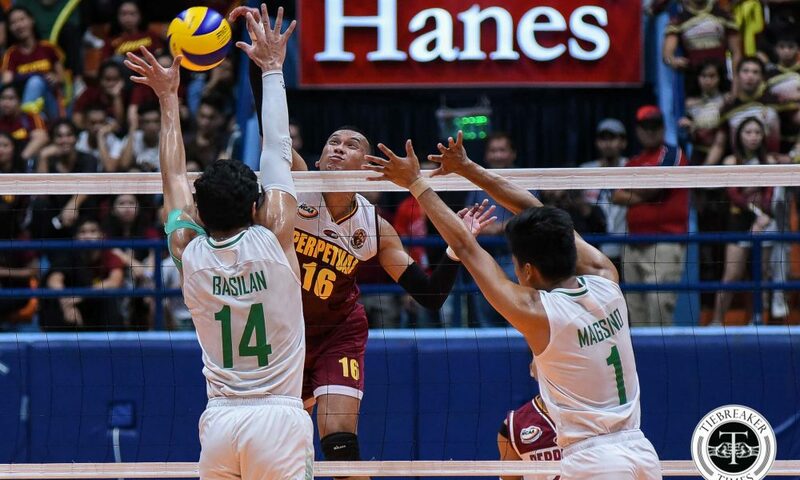 Open hitter Ridzuan Muhali matched Almodiel’s 19 markers. 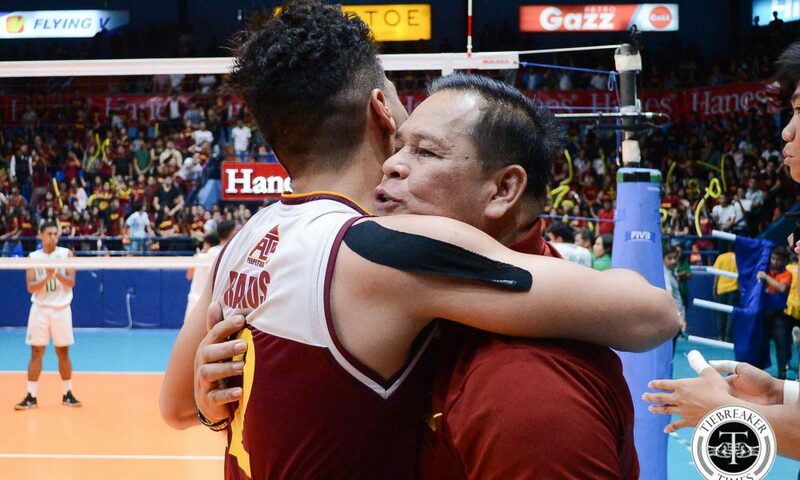 Team captain John Patrick Ramos finished his NCAA career with his third title, tallying nine points in his swan song. 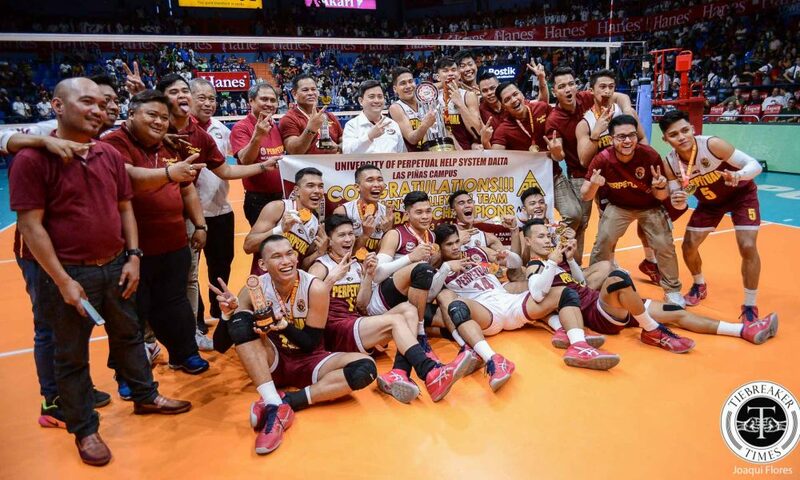 The Altas swept the elimination round and the Finals, winning 11 straight matches en route to their 12th title. 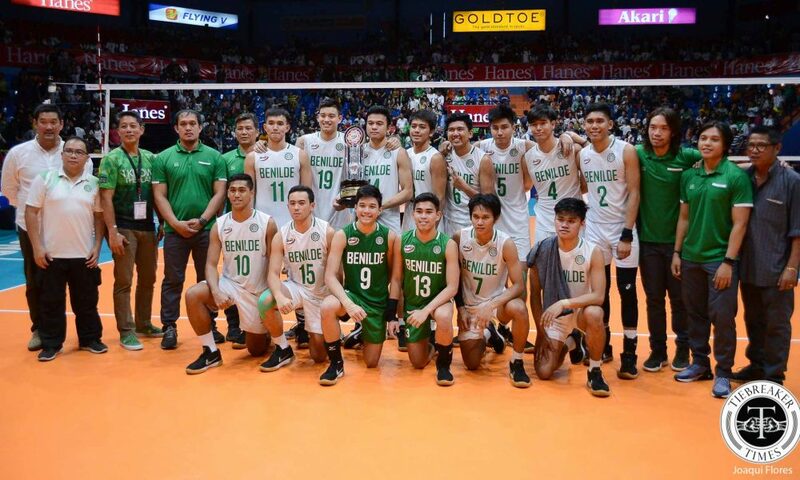 Benilde lost three matches the entire season, all to the Altas. 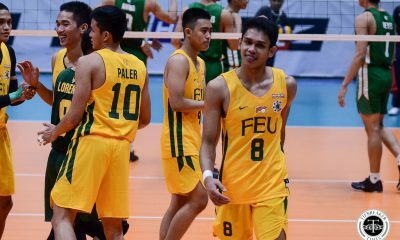 Transferees from the University of the East Vince Abrot and Roniey Adviento led the Blazers with 12 points apiece. 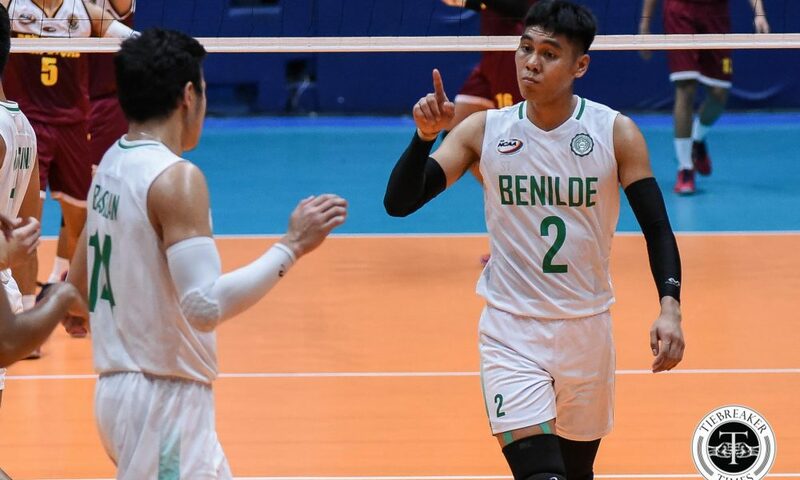 Captain Francis Basilan, a key member of Benilde’s Season 92 title run, capped his collegiate career with 10-point outing.